Plato’s Apology is a Socratic dialogue that records Socrates’ defense (hence “Apology”) of himself before an Athenian court. He is being charged with the crime of corrupting the youth of Athens with speculative and preposterous ideas, as well as for atheism and/or disbelief in the state gods. Most of the dialogue features Socrates speaking in which he defends himself against these charges and seeks for acquittal. However, the main point of the dialogue is that obedience is to be rendered to God rather than to men no matter the cost, and that doing what is right is more important than the preservation of life itself. Or to put it as Socrates puts it, men ought to fear unrighteousness more than they fear death. Socrates flips the charges on its head and argues that, far from corrupting the youth of Athens, he has actually done the greatest good possible to the state by his philosophy, and claims that he was even given this mission by God to help the state. In the end Socrates is condemned to death. In seeking to clear his name Socrates argues that the real reason he is hated and being charged is not because he has done anything wrong but precisely because he has been doing something right. He understands the hatred directed toward him as proof of his rightness, and explains that the real reason people hate him is because he exposes their alleged wisdom to be no wisdom at all. Socrates repeatedly states that he does not know more than anyone else, except for this: that he knows that he does not know, whereas others think they know when in fact they don’t know. It is because he exposes the truth that they don’t know (and presumably embarrasses them) that they hate him and wish him to nuisance them no more. Socrates also argues that far from being an atheist he actually has a higher regard for the gods than his fellow countrymen, because he is willing to obey God regardless of the cost. He repeatedly states that if he were to capitulate to their demands to stop teaching, or if he were to fear death more than obedience to God, he would prove himself to be an atheist. This he will not do, thus proving his exceptional piety. As stated above, Socrates argued that unrighteousness is to be feared more than death, for death is not necessarily a bad thing and may even be a good thing provided that one has lived a good life, but unrighteousness is undoubtedly destructive to one’s soul. Socrates makes it perfectly clear that he will never quit his mission for God; he would rather die again and again than alter his ways. I agree wholeheartedly with Socrates on basically every point he makes in the Apology. As a campus preacher I encounter similar situations in which people hate me, not because I have committed any evil against them but rather because I do them the good of exposing the error in their ways of thinking and living. I also believe that reverence to God and righteousness are more important than life and death itself; in fact, there is nothing more important. The only point in which I disagree with Socrates in the Apology is that he gives the impression that he has actually done righteousness himself, and therefore he faces death with confidence. As a Christian I believe that man has never done righteousness, but that “all have sinned and fall short of the glory of God.” (Romans 3:23) I believe the only way to have confidence in the face of death and the judgment of God is by taking hope in the sacrifice of Jesus Christ, who provides blamelessness for us through His death. This dialogue has infinite value for the world. If only more people would read such works and talk about them together! 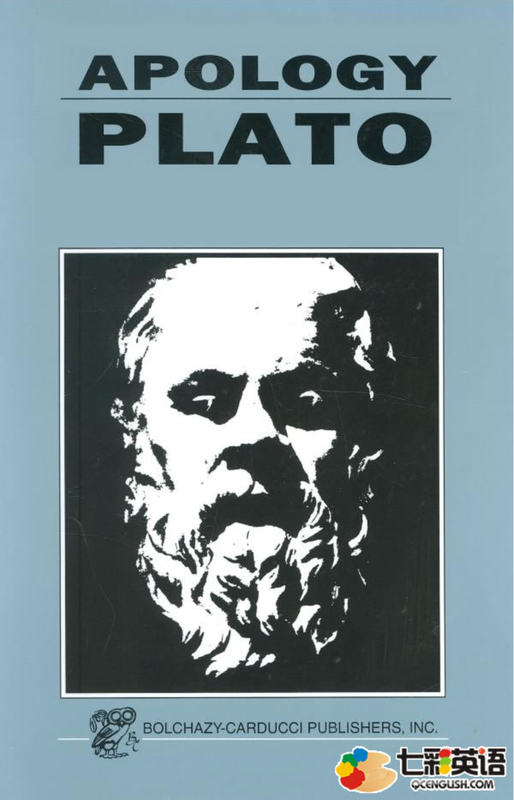 I often think that providing inmates in prison with Plato’s works would do wonders, as inmates have lots of time to read and meditate as well as sensitive consciences to listen attentively to the content. We all need to think more seriously about the issues of our souls, of righteousness and of God. There is simply nothing more important than these things.